Firing on all – 12 – cylinders. 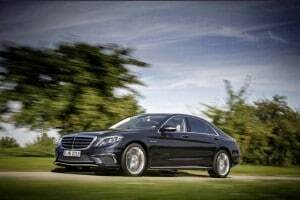 Mercedes brings back its V-12 with the launch of the new 2015 S65 AMG model. 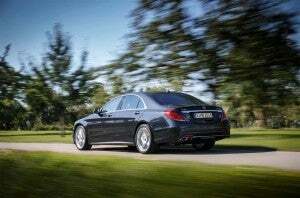 For those who think the recently redesigned Mercedes-Benz S-Class isn’t quite exclusive – or powerful – enough, the maker has an alternative making its debut at the upcoming Tokyo Motor Show in the form of the 2015 Mercedes S65 AMG. The new model – not to be confused with the more plebian S63 – brings back the Teutonic twelve-cylinder powertrain, here making an impressive 621 horsepower and 738 pound-feet of torque, more than enough to leave the kid in the Mustang GT gob-smacked when the light turns green. Of course, performance isn’t all that matters when you’re talking about something that in the European market is expected to go for an equally jaw-dropping € 232,050. The 2015 Mercedes-Benz S63 AMG will be outfitted with such niceties as diamond-quilted nappa leather and only the most exclusive woods. There’ll also be an IWC Schaffhausen clock mounted in the dashboard. Rear-drive only, the 621 horsepower S63 AMG will launch from 0 to 60 in a mere 4.2 seconds. 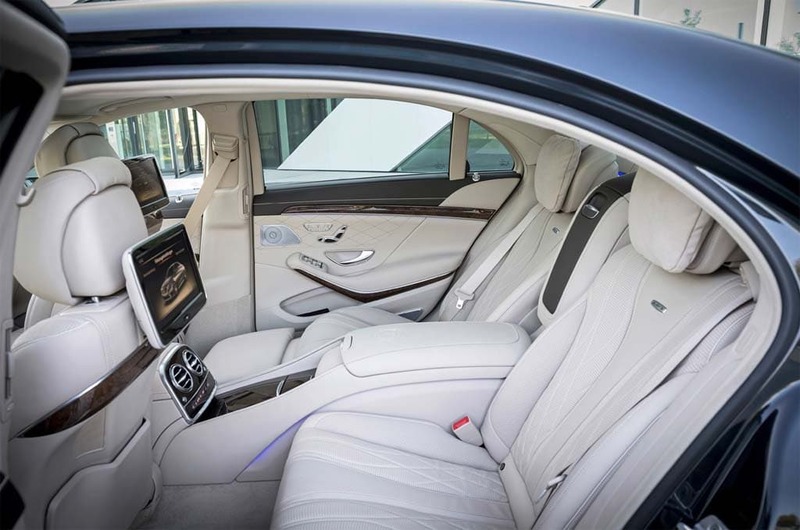 The S65 and the planned S-Class Pullman model are intended to reach out for an even more up-market buyer, the folks Mercedes’ parent Daimler AG had hoped to reach – unsuccessfully, it turned out – with the short-lived Maybach brand. Once a requisite for top-line luxury makers, the 12-cylinder engine has been fading away in recent years, a reality in a world with ever-tighter emissions and mileage mandates. And even competitors like Bentley and Rolls-Royce focus more on the elegant ride characteristics of their own V-12s, rather than on the raw muscle they can pump out. 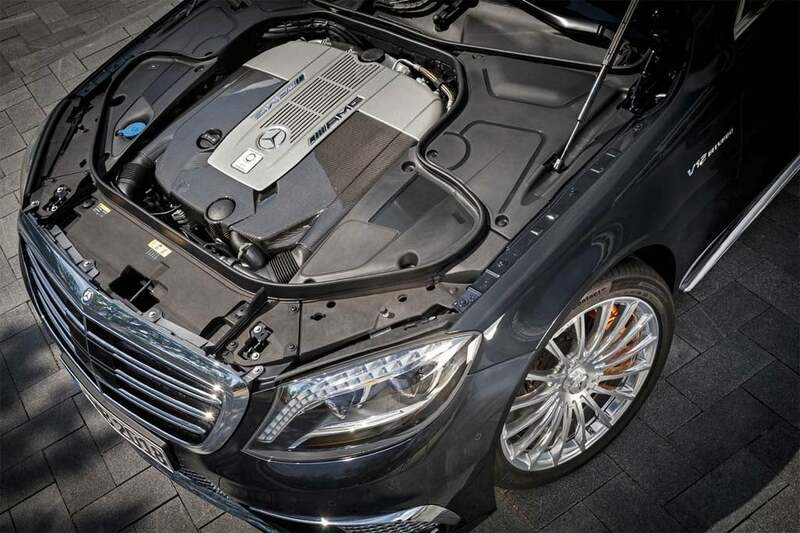 In the case of the S65, we’re talking more than enough power from the twin-turbo 6.0-liter package to launch the massive sedan from 0 to 60 in just 4.2 seconds, with an electronically governed 155 mph top speed. One critical difference from the S63: the S65 AMG does not offer 4Matic all-wheel-drive. Power is directed to the back wheels through a 7-speed Shiftronic automatic. The S63's twin-turbo, 6.0-liter V-12. The big engine features a number of performance-oriented details, including its aluminum crankcase and forged crankshaft, a multi-spark ignition system and an air-to-water intercooler. It also makes at least a casual nod towards fuel economy by incorporating a Stop/Start system that can briefly shut off the motor instead of idling, say, at a stoplight. The maker quotes a combined fuel economy number of 11.9 liters per 100 kilometers – which works out to around 19 mpg. However, the European rating system often proves a little more liberal than the EPA test process so we’ll have to wait for American numbers to be released closer to the on-sale date for the Mercedes S65 next spring. As one would expect, the S65 carries over pretty much all the breakthrough features from the earlier models of the S-Class, including the Magic Body Control suspension and the wide array of safety features that can, for example, stop for pedestrians and other obstacles, and even highlight deer and other animals through an infrared system that uses the car’s reconfigurable gauge cluster. Mercedes officials say they developed the front seat for American tastes, the rear for Chinese customers, who typically prefer chauffeurs. That display also gets several exclusive AMG features, and there are two new round dials that provide information on engine and transmission oil temperatures. Along with the diamond-stitch leather, the 2015 Mercedes-Benz S65 AMG will get a unique 2-spoke AMG sport steering wheel with aluminum paddle shifters, as well as exclusive AMG sports seats designed for both long-distance comfort, Mercedes claims, as well as performance maneuvers. The latest addition to the S-Class line-up will make a dual debut later this month at both the Tokyo Motor Show and the L.A. Auto Show. This entry was posted on Friday, November 8th, 2013 at and is filed under Automobiles. You can follow any responses to this entry through the RSS 2.0 feed. Both comments and pings are currently closed. It’s a good thing this engine has 621 HP because if it only had 620 HP, I wouldn’t buy it as it would be too little for me… /sarcasm. The 738 lb-ft of torque should fry the tires at the local burger joint if you want to play the fool.